People ask me all the time about how to burn fat the fastest. Today's WOD is THE way. 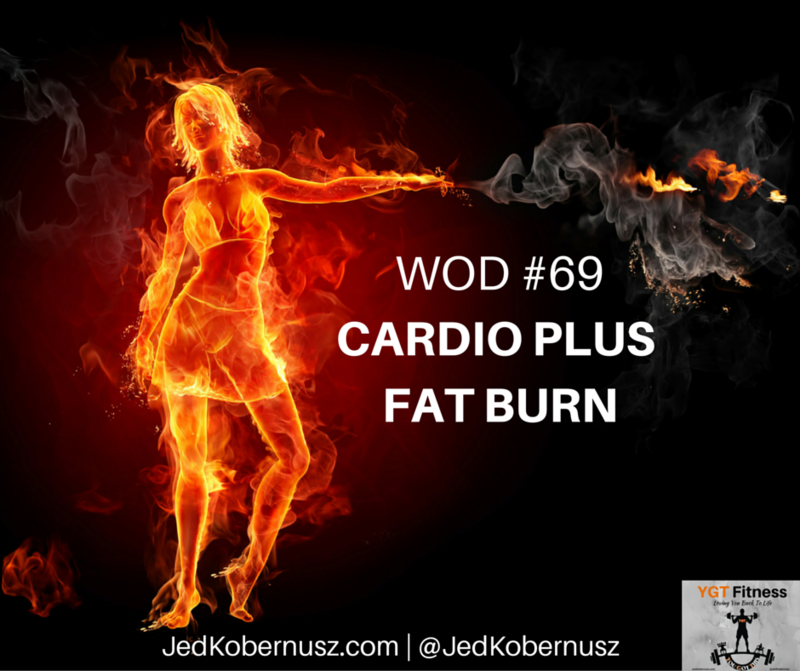 Cardio HIIT Loves Fat by creating what is called EPOC or After Burn. When you get your heart rate above 84% of your maximum heart rate for 12-20 minutes you create after burn. What that means is that your body will burn and extra 300-600 calories in the next 24-36 hours without doing anything. Now our bodies burn calories anyway, but EXTRA calories?!! Why not?!! Today's WOD is ALL about it. Creating something like after burn with cardio HIIT. Cardio HIIT Loves Fat doesn't mean high impact. Cardio hiit ideas come from all directions. You can find cardio hiit workout for fat loss on YouTube, but be careful your sources. That's where I come in. Today's WOD and video come with modifications. Today's WOD is the best hiit workout for fat loss. Notice I didn't say weight loss, hiit specifically burns fat from your body. 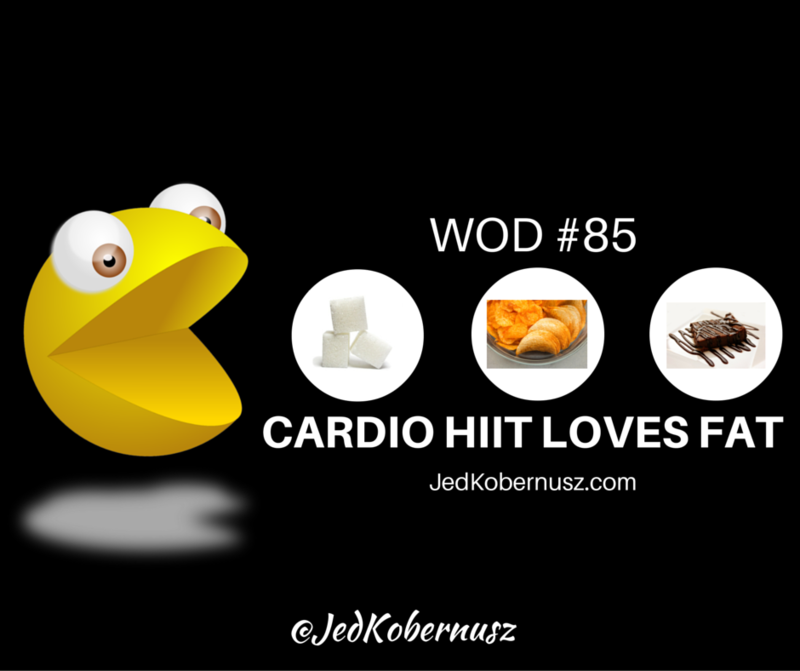 That's why I named it Cardio HIIT Loves Fat because HIIT does LOVE fat. It LOVES to EAT it away. Also why I chose to use the yellow “Pac Man” to show you what it likes to eat. The above is ONE round!! Now repeat that 2-3 more Rounds!! 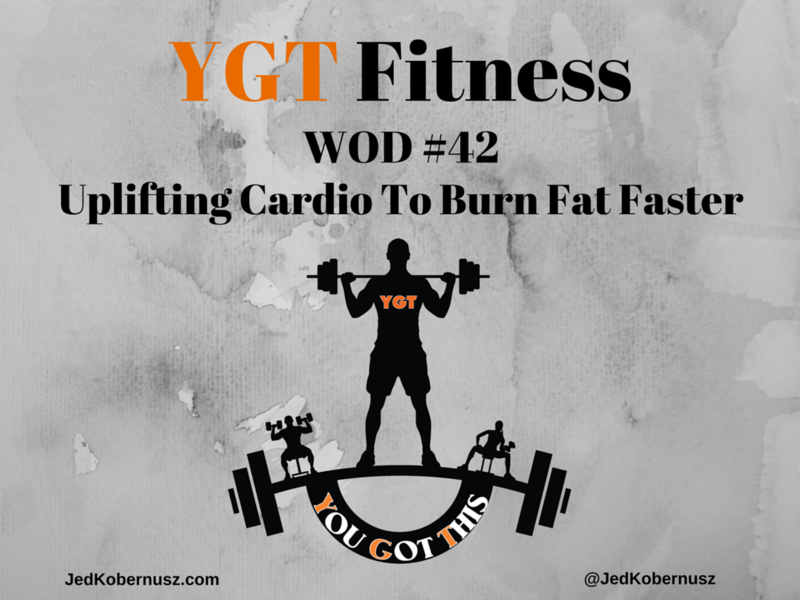 If you enjoyed this post about Cardio HIIT Loves Fat, retweet and comment below please. Fear is one of those things that we let stop us right in our paths. 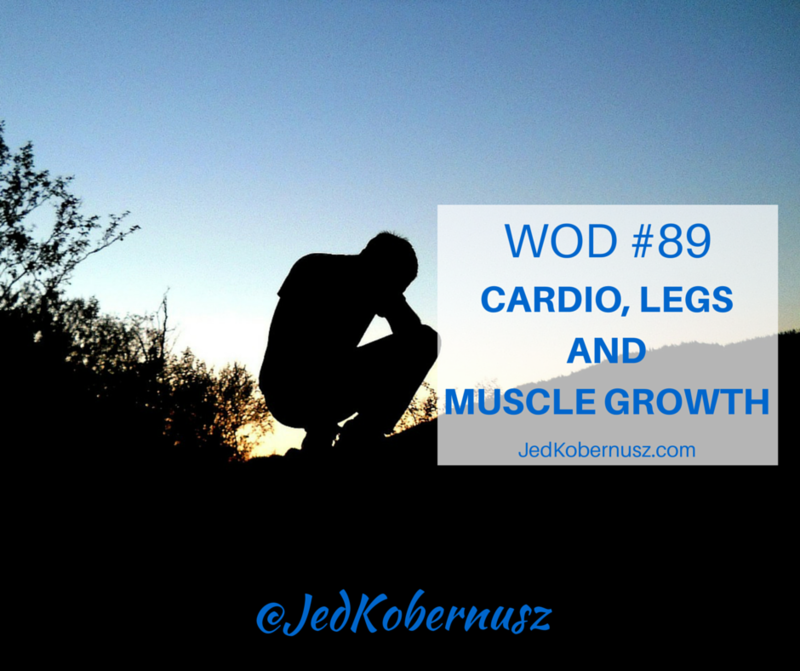 Today's WOD is all about Cardio Motions Performed Fearlessly. Just so we are clear, I'm talking about staring our FEAR right in the face not a cobra snake. Who's crazy enough to do something like that? NOT this guy LOL. If we don't know HOW to do something we simply stop. Then if we think about “changing” we start to think and the fear takes over. We can only measure what we will lose because we have been taught to take as minimal risk as possible. Past experiences tell us what we will lose. We don't ever focus on what we COULD gain. What if I get STRONGER? 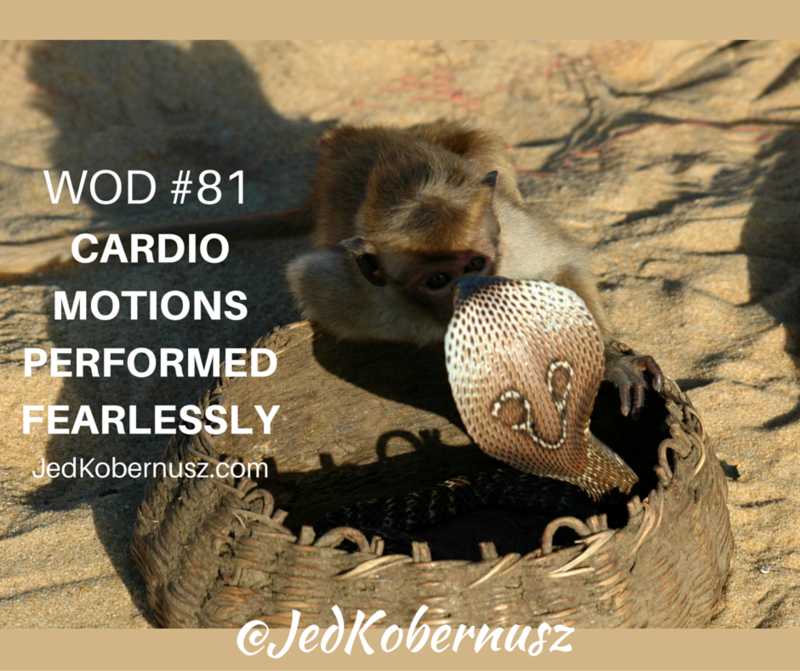 Cardio motions performed fearlessly is like staring a cobra in the face. Sometimes we simply don't move because we are scared. We might be scared of being bitten or poisoned. If you think that commercials on TV aren't poison then, tell that to anyone who has bought a late night infomercial “program”. AND I bet that “program” is on the shelf collecting dust. What IF you simply tried today's WOD without fear? I figured I would put my own spin on it and make a video. Watch below and see what it's all about. So my offer to you today is to take all motions and perform them without fear. I actually had a TON of fun doing this one!! I ALWAYS have fun, but this one made me feel like I had a BUNCH of energy after doing it! Today's WOD is, what I think is, the best type of cardio to lose weight! Sometimes I think we get caught up in the “quick fixes” and think that all you need is this one workout or this one exercise, but that couldn't be further from the truth. THAT is the best weight loss cardio workout plan! If you are not getting out of breath, then your metabolism will not go where you want it to… UP! My bet is you are looking for a plan for cardio to lose weight in 2 weeks. This WOD can help with that for sure and if you are looking for more specific ways to help I can help. 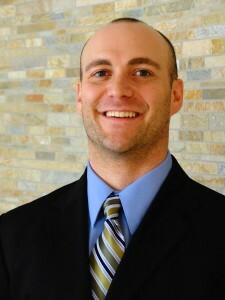 For example if you have had a knee surgery, post orthopedic surgery or back injury I can definitely help. Feel free to email me at [email protected] and we can talk about what that looks like for you. The best cardio machine to lose weight may or may not exist. It's ALL up to YOU! What do you like to do? Personally, I LOVE to jump rope. Some people like the elliptical. The fact of the matter is to burn the MOST amount of calories even when you are sitting on the couch you will STILL be burning calories. What to know how to do that? Well I talked ALL about how to do this on an episode of THE Exercise Physiology Show. Click Here to watch the episode about how to burn calories while sitting on couch. You have come SO far!! I don't even believe that I have over 100 episodes of THE Exercise Physiology Show. That's NUTS to me. Have you seen any episodes? If not GO HERE and check it out. Feel free to share any or all of them to your social media pages if you found value. Was this post about Uplifting Cardio To Burn Fat Faster helpful? Feel free to share with your friends if you got value.